Sake Making Kit for your Home! Norse Hutchens an expert in home-brewing has developed many home kits from Wine to Moonshine. 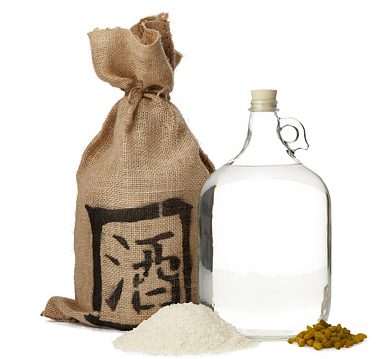 We are excited to say that also available is a Sake Making Kit! "Traditional Japanese sake production can be complicated and exacting, but this kit makes it easy with everything you'll need (except 1 lb. of white raisins and 2.5 lbs. of sugar) to brew multiple one gallon batches of your own sake in a hands-on exploration of ancient art and science." "We first stumbled on these watching master bladesmith Vincent Kazuhito Lau sharpen knives (pictured here) at his home base just a stone's throw from Best Made. Looking for the perfect holiday gift for the sushi lover in your life? Check out the Rice Cube™! Have a great time making perfect sushi cubes easily with this neat little gizmo! If you are passionate about Japanese cuisine and you want to enjoy delicious, fresh and homemade sushi, then you will surely enjoy theses funky Sushi making kits. The Best Carry On Travel Chopsticks! From the Japanese outdoor retailer Snow Peak™, check out these super high quality travel chopsticks! Are you thinking about buying a rice cooker? Daunted by the number of “rice cooker” results in Amazon?